SOLD! 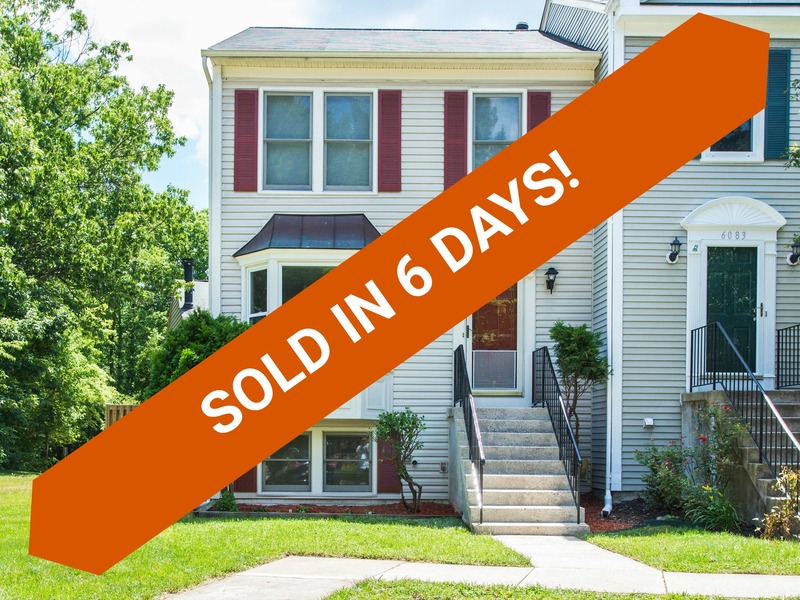 6081 Clay Spur Ct, Centreville, VA sold in just 6 days for $390,000. Want similar results? Find out how much your home is worth. 6081 Clay Spur Ct is a beautifully renovated end unit situated close to all that Centreville offers! Living is easy on the main level of this home with bamboo hardwood floors and new paint throughout. The family that cooks together will enjoy all the updates made including granite counters, stainless appliances, pendant lighting above the large island and newly painting cabinets and hardware. Morning coffee can be sipped out on the custom deck that faces the mature trees. Rest your sleepy eyes in one of the 3 upper level bedrooms with new carpeting including master suite with full bath. An additional full bath finishes this level. Gather for movie night in the lower level rec room with wood burning fireplace. An additional bedroom with heated floors and full bathroom on this level is perfect for guests. The fenced yard has been updated with new landscaping and convenient shed for storage. Spend your free time at one of the many HOA amenities including pools, basketball, tennis, playgrounds and walking paths. 6081 Clay Spur Ct in Centreville, VA is in Union Mill Elementary, Liberty Middle, and Centrevile High School boundaries of Fairfax County. The neighborhood enjoys the proximity to retail and restaurants such as Cinemark Theatres, Sweetwater Tavern, and Jireh Bakery Cafe. Located close to Rt. 28, Rt. 29 and Rt. 66, this is a great commuter location!